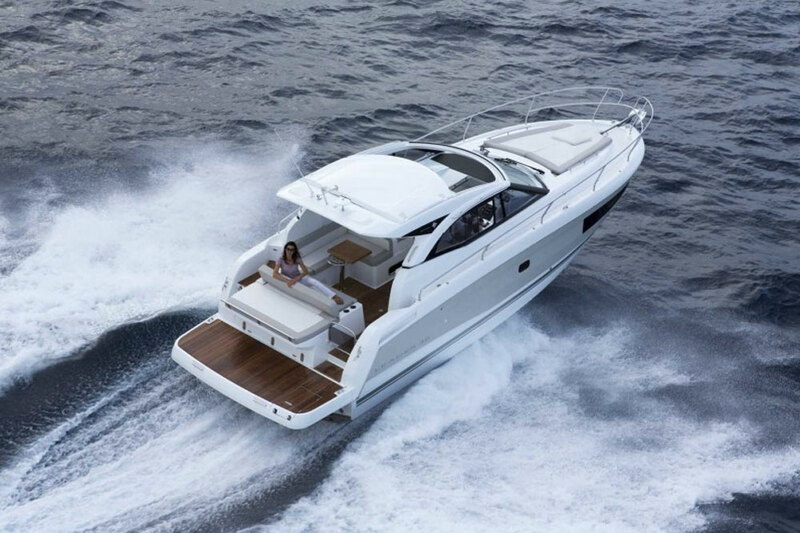 The 2017 Jeanneau Leader 30 is both the smallest in this model line and is the only open Leader—but there’s no doubt, it’s still a Leader. 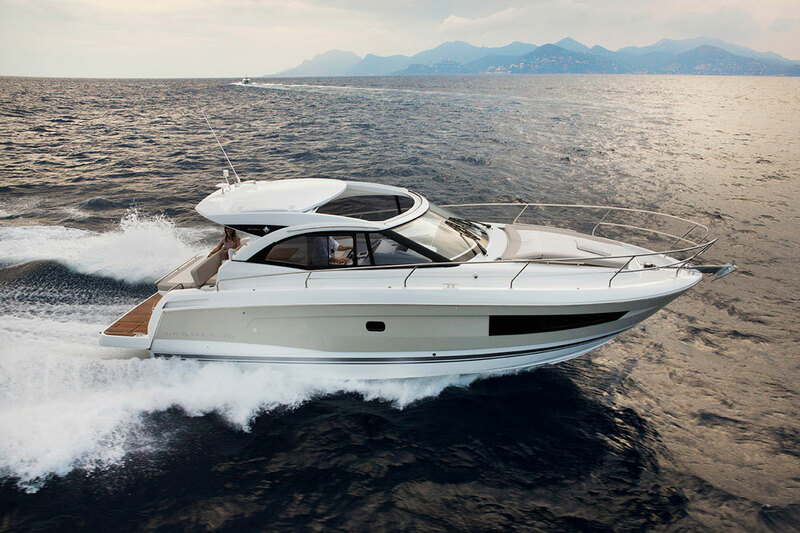 It was less than a year ago that the Jeanneau Leader 36 was introduced, and only one year prior that the Leader 46 first hit the water. 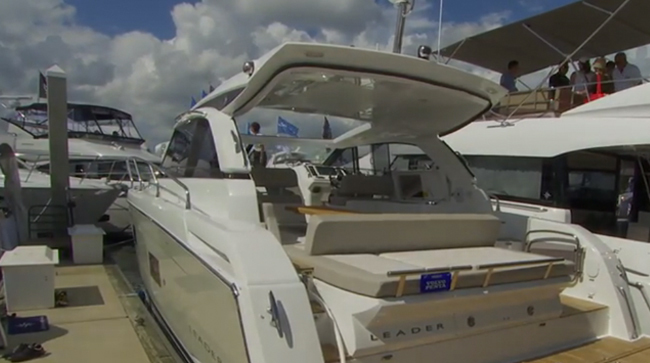 But when reviewer Alex Smith walked the docks at the 2016 Cannes Yachting Festival, he came across yet another new boat in this line-up: the Leader 30. The smallest Leader built to date, this is also the only model in the line to have an open bridgedeck. 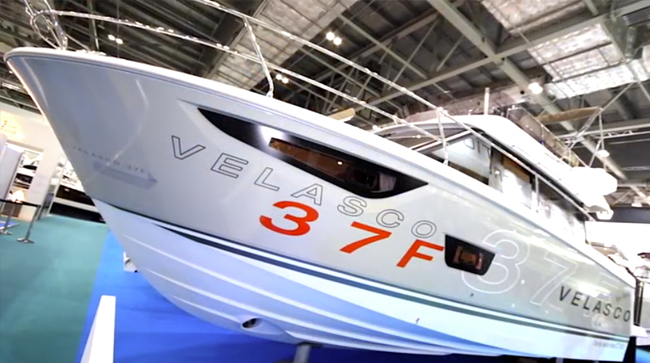 That makes it ideal for crews who enjoy day-boating and weekending with lots of sunshine and open air. Let’s take a quick tour. As Alex points out, the Leader 30 offers spiffy performance and can hit 30 knots with a single Volvo Penta D4 engine but you can also get this boat with twin 4.5L MerCruisers or even twin 8.2L MerCruisers (For more information on choosing between Volvo Penta and MerCruiser stern drives, read Stern Drive Engines: MerCruiser vs. Volvo Penta). Another choice to be made is in the interior finish you saw in this video; moabi is the standard, and walnut is an option. And when rigging the boat your choice of optional equipment will have a significant impact on both cost and on-the-water performance. 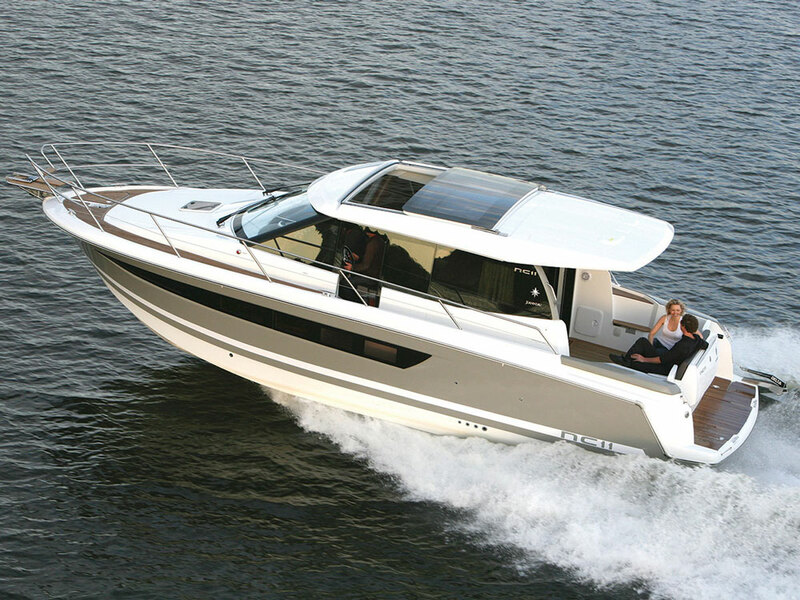 Consider, for example, that the trim tabs, bow thruster, and inverter are all options. 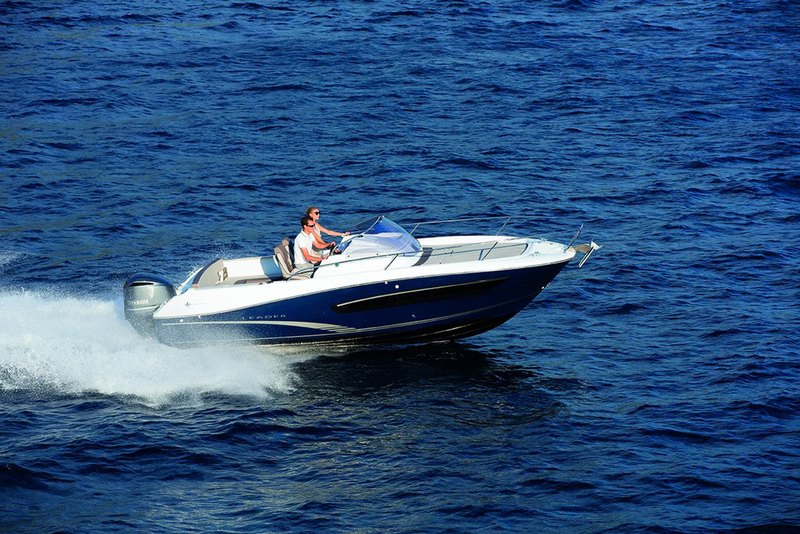 While this makes it more difficult to determine the bottom line for a new boat, it also allows for a good deal of semi-customization. Furniture, fabrics, entertainment systems, and even the awnings and arch can be chosen by the buyer. 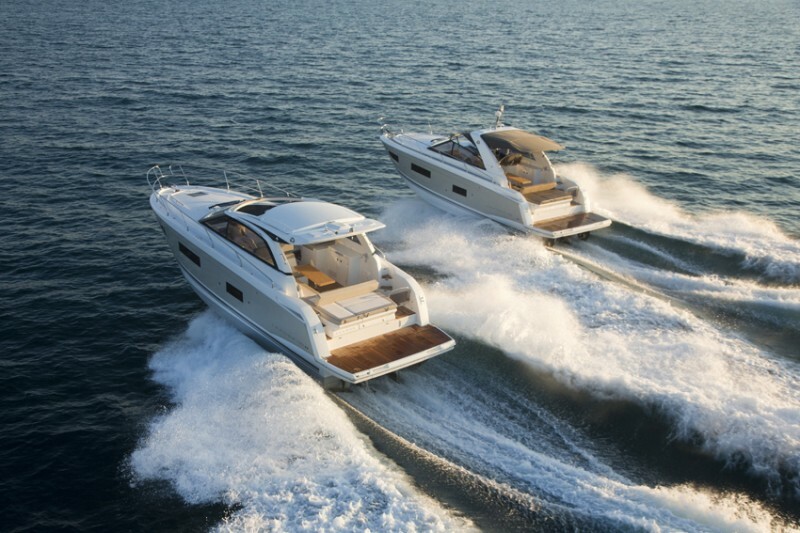 Or, see some Jeanneau Leader 30 listings.